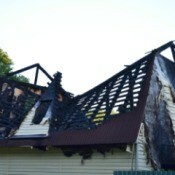 Finding Rebuilding Assistance After a FireInsurance should cover the cost of rebuilding your home. If you do not have it, you may be able to find assistance through your church or community. This is a guide about finding rebuilding assistance after a fire. Cleaning Greasy Residue Left by Goo GoneDepending on the material, you can use rubbing alcohol or an acetone nail polish remover for the Goo Gone residue. This is a guide about cleaning greasy residue left by Goo Gone. Buying Shout Color Catchers SheetsYou can find this Shout Color Catcher sheets in the laundry section of most large stores. This is a guide about buying shout color catchers sheets. Having a Wedding Butterfly ReleaseButterflies can hold special significance to many. Releasing them at a wedding can create a meaningful moment. 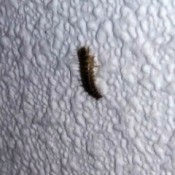 This is a guide about wedding butterfly release. Feta Stuffed Chicken BreastsA simple main entree that you can use other cheese to substitute for feta when stuffing your chicken breasts. 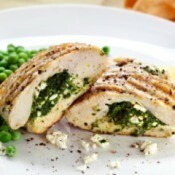 This page is about feta stuffed chicken breasts. Attaching Mirror Pieces To Bowling BallA mirrored bowling ball makes a beautiful garden decoration. This guide contains techniques for breaking or cutting your mirror pieces and suggestions for the best glues or adhesives. 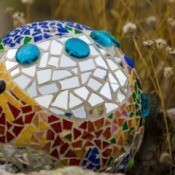 There are also tips for grouting and final finishing before placing it in your garden. Homemade Garden Hose Hanger IdeasKeeping your garden hose convenient to use and untangled can be accomplished by repurposing a pot or even an old tire rim. 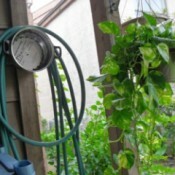 This is a guide about homemade garden hose hanger ideas. Chicken SchnitzelIt's Oktoberfest time! I'm not a beer drinker, but I do make up for it with the foods. 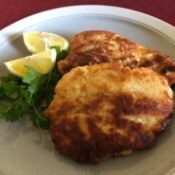 This is an easy way to make a scrumptious schnitzel without too much effort. You can use any type of meat you like, but I like chicken breast. Don't forget to serve lemon wedges alongside. They really make this meal pop! Wood Craft Magnetic SticksMy toddler enjoys being nearby when I'm in the kitchen. She likes to play with some magnets that we have on our fridge. 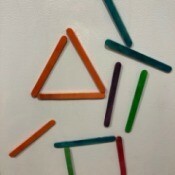 I thought it would be fun to make assorted wooden craft stick magnets. 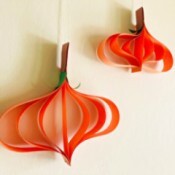 Hanging Paper PumpkinsI love these pumpkins because they have a lovely vintage feel to them. When hung, they cast pretty shadows and show many dimensions whilst gently spinning. This is a great craft for all ages for the entire autumn season. 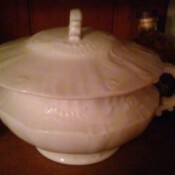 Value and Maker of a Covered Ceramic DishThis was passed on to me from my mother. 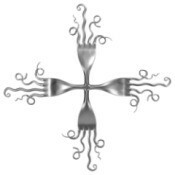 I would like to find out the value, information on mark, and the maker. Any and all input is appreciated! 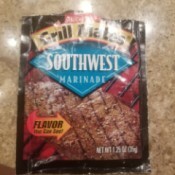 Copycat Recipe for McCormick's Grill Mates Southwest MarinadeDoes anyone have the recipe for McCormick's Grill Mates Southwest Marinade? It was discontinued and my dad loves it and he just ran out of his last packet. 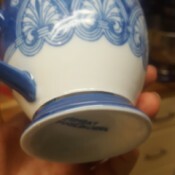 Value of Bombay China Company Plates and CupsI have about 6 sets of Bombay China Company blue/white teacup/plate sets with silver looking trim. There are 6 large plates and 6 medium sized plates with the Bombay name stamped on the bottom of all of them. The pattern is tile or fanned. I'm just curious as to what the value of these things are? Name Ideas for a Bath and Body Products BusinessMy daughter (8yrs) and I have been having so much fun together making bath bombs, foaming salts, lip balms, shower steamers, etc. and would love to start turning it into a joint business. 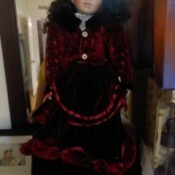 Value of an Ashley Belle Collection Porcelain DollHow much is this doll worth? Removing Bird Poo Stain on Canvas Wall ArtMy lovely canvas wall art as been left with a poo stain thanks to my baby budgie. I was told to lightly rub it with a soft rag with warm water, but this has left a white smudge mark on a black background printed canvas. Troybilt Riding Lawn Mower Won't Shift GearsI have a 17.5 hp Troybilt riding lawn mower that is only a couple of months old. I started to cut grass today and it would not go into gear. Using Open Container of Hair DyeI want to know if I can use semi permanent hair dye 2 days after opening? Value of a Japanese Tea SetMy great aunt brought this back in the early 1900s from overseas. 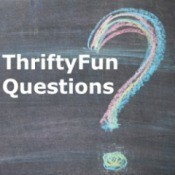 I would love to find out mark information, maker, and value! 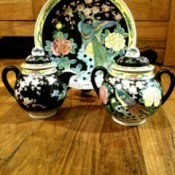 The set has teapot, creamer, sugar bowl, plates, saucers, and teacups - 4 place settings. 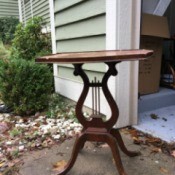 Identifying a Possible Mersman Lyre Side TableI have what I think is a Mersman lyre side table, but there are no markings. I'm trying to determine the model number and how much it is worth. The table top is in poor condition. 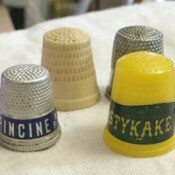 Value of an Antique and a Vintage ThimbleI am looking for information for 2 thimbles, specifically, the age and value. One is a plastic yellow Tastykake and the other is an antique Miss Princine baking soda aluminum. There are from an estate sale and original.